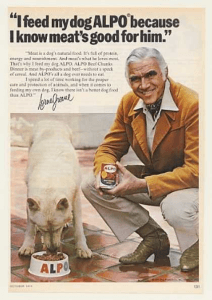 Sales spiked, and the concept of “eating your own dog food,” or dogfooding, was born. Examples of companies engaging in dogfooding, even in support of products whose main ingredient isn’t real beef, such as technology, abound. In 1980, the president of Apple Computer, Inc., as it was then known, drafted a company-wide memo to ensure the eradication of all typewriters across its offices. "We believe the typewriter is obsolete,” Michael Scott wrote. “Let's prove it inside before we try and convince our customers." In 1999, Hewlett-Packard's office staff referred to a project that required using HP's own products as "Project Alpo." Encouraging those who design products to actually use and rely on them is often thought to improve usability, which in software engineering is the degree to which an operating system, program or application can be used by specified customers to achieve quantified objectives with effectiveness, efficiency and satisfaction in a defined context of use. When you consider that venture capital funding within the software industry increased 37 percent in 2015 to a record $24.5 billion, it’s safe to say the software market is the fastest growing vertical in the tech industry. Yet of the thousands of software companies that exist, many don’t understand the benefits from leveraging their own solution, including catching bugs in the system and ensuring the UX feels natural. The benefits of dogfooding are plenty, and often the best solutions to internal problems are those that are developed in-house. And, by the way, if you find the term dogfooding unappealing, we can use the alternate phrases "drinking our own champagne,” as Pegasystems, a developer of customer relationship and business process management software did; “icecreaming,” as Microsoft once preferred; or "eating our own cooking," which the developers of IBM's mainframe operating systems have long used. But libationary or gastronomic metaphors aside, why wouldn’t a technology company deploy its own solution across its enterprise environment in order to determine whether it performed as advertised? As detailed in a recent white paper, Intel® IT enlisted its own Intel® Data Center Manager (Intel® DCM) to standardize operations of its 60 global data centers and improve its corporate green initiatives. Given recent increases in data and energy costs, the company was looking for a solution that could manage complex data center infrastructures, help reduce costs, and is easy to deploy and use. Intel DCM is a standalone solution that provides accurate, real-time power and thermal monitoring and management of individual servers, groups of servers, racks, and other IT equipment, such as Power Distribution Units (PDUs). Intel DCM provides benefits for both IT and facility administrators, enabling these groups to collaborate to reduce a data center’s energy footprint. In its initial use of Intel DCM, Intel IT considered the solution to be focused primarily on gaining a better understanding of the power consumption and thermal status of servers. With broad deployment, it became apparent that Intel DCM is capable of much more. The analysis covered not only servers and racks from different OEMs, but also storage, networks and facilities equipment. 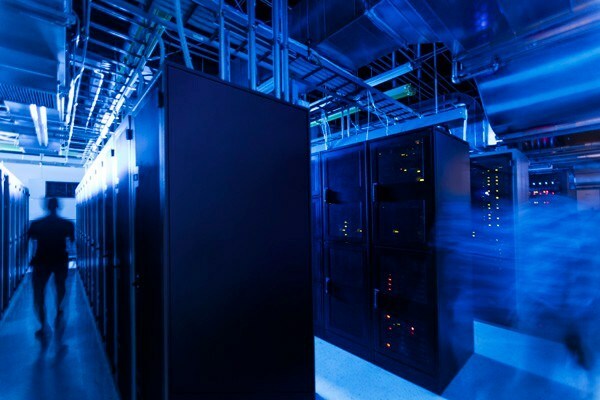 Data center managers were able to detect hotspots and cooling anomalies, and find “zombie” or underused servers. Servers use 50 percent of a data center’s power, even when those servers are idle. Because Intel DCM was easy to implement, integrate, administer and operate, this solution provided significant ROI in a short amount of time. Delving further into its success, Intel DCM’s real-time data from a large sample of servers enabled data center managers to conduct more accurate and proactive capacity planning, while aggregating server-inlet temperature data into thermal maps allowed them to check the effectiveness of their cooling solutions and airflow design. Intel DCM also provided predictive thermal analysis, which in several cases helped to eliminate thermal risks and identify hotspots and thermal inefficiencies that provided our data center managers with enough information to change the design of problematic rooms to increase energy efficiency. Finally, Intel DCM provided real-time power and thermal data to empower administrators to make better decisions about load balancing and right-sizing the data center’s environment. They were also able to create user-defined alarms that warn of potential circuit overloads before any actual failures or service disruptions occur. Intel IT estimates that this type of data will help reduce overall data center energy consumption while improving operational efficiency. Now that’s dog food that rises to the level of champagne, ice cream and a nutritious, home-cooked meal. Attend a session by Jeff Klaus at Gartner Data Center, Infrastructure & Operations Management Conference on December 6th 2016 at 11:15 AM - 12:00 PM, Venetian F.
At the event stop by the Intel booth #101 for demos by Intel data center solutions and sit in the learning labs. Download the schedule (PDF). General Manager of Data Center Solutions at Intel. Internationally respected software executive with experience building data center software licensing, API management and software solution businesses. Jeff has extensive experience building software engineering, product development, marketing, licensing and deployment through a variety of industry verticals globally. Jeff has experience distributing solutions to the top 10 global hardware OEMs, leading global software solution providers and direct to the largest telco and Internet Portal Data Centers around the world. He has built global sales and distribution teams and has experience orchestrating solution selling through indirect solution partners in addition to direct GTM strategies. 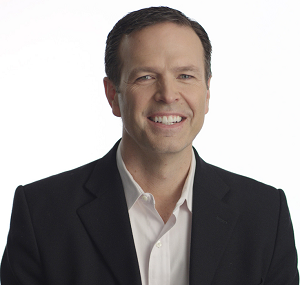 Jeff is a graduate of Boston College, and also holds an MBA from Boston University.